The year is 2087, and the federal government has implemented a new sentence for criminal convictions—banishment to a remote island. When Lydia Brone is wrongly convicted of murder, she is sentenced to three years on Kormace Island. 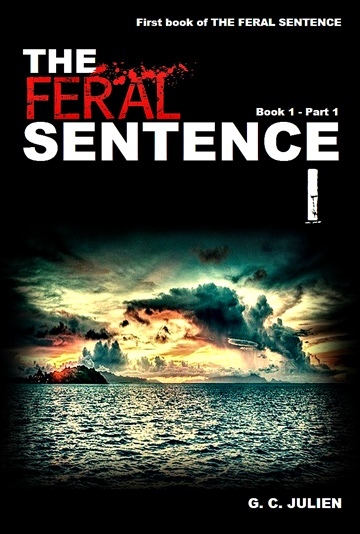 She must forget all she’s ever heard about life in prison and develop the necessary skills to survive in the wild and defend herself against savage enemies—other felons who will fight for their rightful place within the island's hierarchy system by means of violence and sheer brutality. G. C. Julien is a Canadian young adult fiction author, best known for her short novella serial, The Feral Sentence. When she is not writing, G. C. Julien can be found playing guitar, painting, or flying a cessna 150.